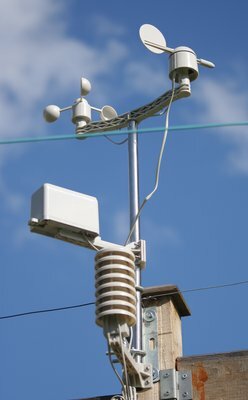 Python software for USB Wireless Weather Stations. pywws is a collection of Python modules to read, store and process data from popular USB wireless weather stations such as Elecsa AstroTouch 6975, Watson W-8681, WH-1080PC, WH1080, WH1081, WH3080 etc. I assume any model that is supplied with the EasyWeather Windows software is compatible, but cannot guarantee this. The software has been developed to run in a low power, low memory environment such as a Raspberry Pi. It can be used to create graphs and web pages showing recent weather readings, typically updated every hour. It can also send “live” data to services such as Weather Underground and post messages to Twitter. The development version of pywws is hosted on GitHub. “Snapshot” releases of pywws are available from the Python Package Index (PyPI). Documentation is hosted on Read the Docs. I have written this software to meet my needs, but have tried to make it adaptable to other people’s requirements. You may want to edit some or all of the modules, or write some new ones, to get it to do exactly what you want. One of the reasons for using Python is that it makes such alterations so easy. Don’t be afraid, just jump in and have a go. The software needed to run pywws depends on what you plan to do with it. You’ll need some of the following. Essential: Python 2.7 or 3 (also see legacy version below). Essential: USB library python-libusb1 or PyUSB or, for MacOS, hidapi and a Python interface to it. Secure uploading to your web site: Paramiko. Posting to Twitter: python-twitter or Tweepy. Posting to other web services: python-requests. For more detail, see the documentation - dependencies. If for some reason you are stuck with Python 2.5 or 2.6 a “legacy branch” of pywws can be installed with pip and is available on GitHub. The most recent version of this branch is 18.4.1.
pywws can be installed directly from the Python Package Index (PyPI) using the pip command. See How to get started with pywws for full instructions. Documentation is included with pywws downloads, and is also available online. A good starting place is How to get started with pywws which describes in more detail how to install pywws. If you have questions not answered in the documentation, please join the pywws Google mailing list / discussion group and ask there. Note that your first message to the group will not appear immediately – new posters have to be approved by a moderator, to prevent spam messages. I would not have been able to get any information from the weather station without access to the source of Michael Pendec’s “wwsr” program. I am also indebted to Dave Wells for decoding the weather station’s “fixed block data”. Last of all, a big thank you to all the pywws users who have helped with questions and suggestions, and especially to those who have translated pywws and its documentation into other languages. pywws - Python software for USB Wireless Weather Stations. Comments or questions? Please subscribe to the pywws mailing list http://groups.google.com/group/pywws and let us know. © Copyright 2008-18, pywws contributors Revision 0ef5ab61.